Everyone's a rough day in their life. It could be your boss getting on you, your significant other nagging you to get something done, the kids hounding you about something they want or you're simply just in a foul mood. Those days you wish you could just remove everyone that annoyed you from your life so you can get some breathing room and get your game on in peace. On those days try one of these titles to help you unwind and relax a bit as they don't require a lot of thinking and are all about action. If you know of any others, feel free to let us know in the comments! 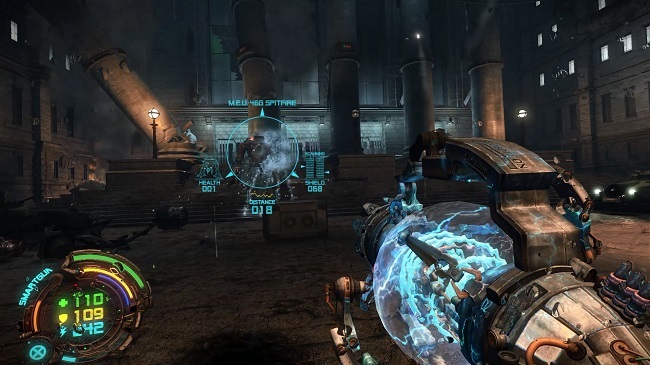 Hard Reset is a straightforward run and gun shooter with an assortment of cyberpunk styled weapons. Everything about this game is intense. You've got hordes of enemies to destroy using some very imaginative weaponry at your disposal. You also have a handy upgrade feature that upgrades not only your stats, but allows you limited configurations on your weaponry, making them even more interesting to use.